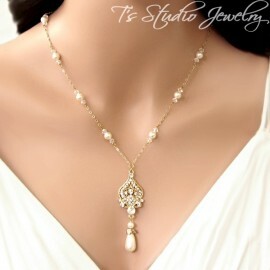 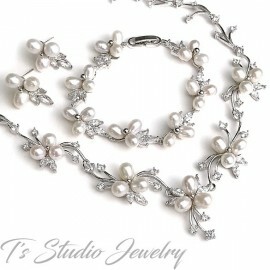 This delicate necklace and earring set is arranged with freshwater pearls set in floral design and adorned with clear rhinestones. 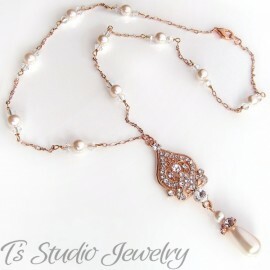 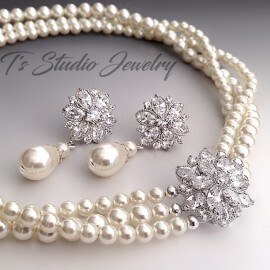 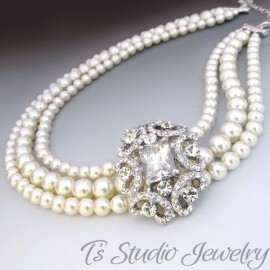 A fabulous jewelry set, perfect for weddings, proms, homecomings, or any elegant affairs! 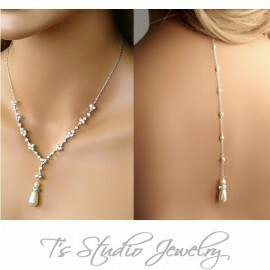 Available in silver, gold or rose gold. 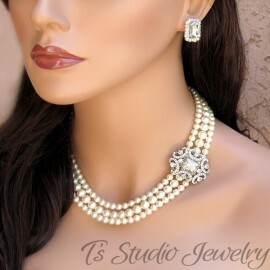 Also sold as a 3 piece set, with necklace, bracelet and earrings.